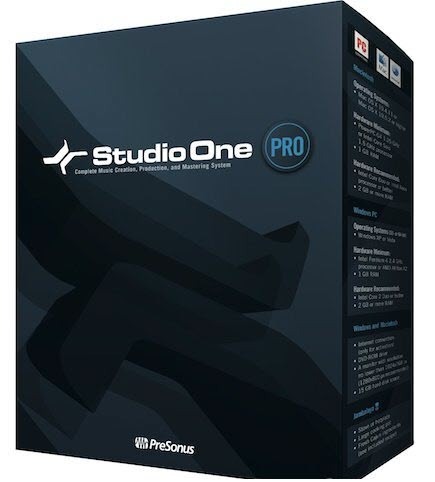 Studio One is a modern, cross-platform DAW, which is able to run in both 32-bit and 64-bit. Studio One has an intuitive interface and easy system of drag-and-drop, which allows you to work faster and more creatively, so making music is more fun. Tasks that take a few steps in most DAW, can be made in one or two quick, easy steps. Professional users and respected commentators agree: 64-bit algorithm Studio One, provides excellent sound. Professional users and respected reviewers agree: Studio One's 64-bit audio engine delivers superior sound. Studio One is a completely modern environment for music creation, sharing, and collaboration. It's Internet-savvy and provides a complete solution, from riff to release. When you buy Studio One, you not only get a deep, state-of-the art, yet easy to learn DAW; you also get a wealth of plug-ins, loops, instruments, and other content.